Flying Eye Books, 9781911171898, 48pp. Since horses were first domesticated thousands of years ago, these iconic animals have been a part of human history--they've plowed our fields, pulled our carts, fought in our wars and been our beloved companions. 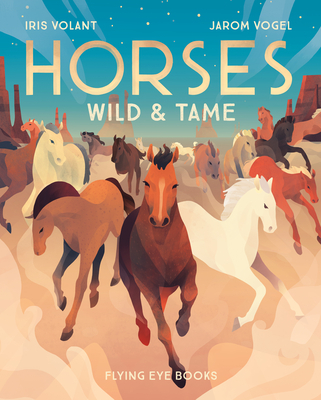 Journey through the history of human and horse interaction in this beautifully illustrated history from the steady hand of American illustrator Jarom Vogel! Iris Volant is a writer and researcher who specializes in non-fiction for children. She lives in London.